Enter to win this great prize pack from Old Spice: Hardest Working antiperspirant, Dirt Destroyer body wash, and Pure Sport Re-Fresh body spray, as well as Old Spice pomade, paste, and putty, an Old Spice Towel, and a $50 StubHub gift card. (Value $100, Ends 12/12/16). Looking for a great holiday gift for guys? 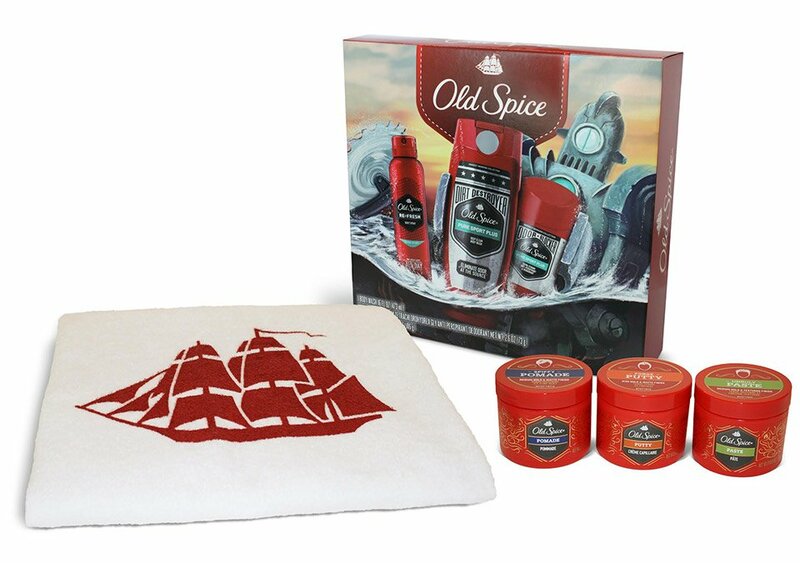 Old Spice has got you covered with great manly scents and bath items, to hair styling products, to the performance items of the Hardest Working collection. Best of all, you can find Old Spice gift sets for as little as $10 to $15.